hd00:11KIEV - JULY 27: crowded people street during 1000th celebration anniversary of the repose of St. Vladimir on July 27, 2015 in Kiev, Ukraine. hd00:15WROCLAW, POLAND - MAY 22 : Easter "God's body" religious procession on May 22, 2008 in Wroclaw, Poland. 4k00:12Tay Ninh, Vietnam - June 11, 2018: Cao Dai followers chanting and bowing during traditional ceremony at the Cao Dai Holy See Temple in Tay Ninh, near Ho Chi Minh City (Saigon), South Vietnam. hd00:17ADDIS ABABA, ETHIOPIA - JANUARY 19: Ethiopian Orthodox followers celebrate Timket, the Ethiopian Orthodox celebration of Epiphany, on January 19, 2013 in Addis Ababa. 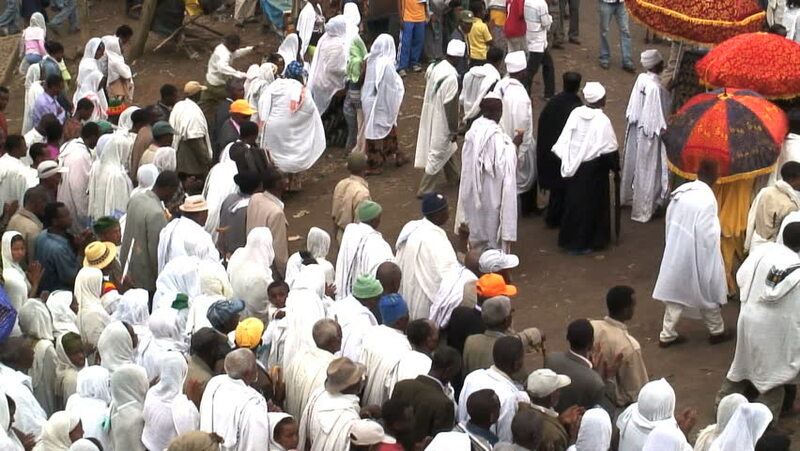 hd00:23LALIBELA, ETHIOPIA - January 4, 2015 - Pilgrims singing and dancing in front of the church of St. George in Lalibela on Januar 4, 2015 in Lalibela, Ethiopia.